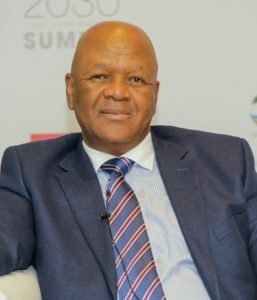 Speaking at the recent DLO Africa Power Roundtable 2019 at the Sandton Convention Centre, Jeff Radebe, the minister of energy, said that regional energy projects and a just transition to a low-carbon economy are essential for the region’s growth and prosperity. The integration and interconnection of the sub-region, with power and trade initiatives, will improve the lot of the region’s rural poor, he said. Regarding South Africa’s Integrated Resource Plan (IRP), Radebe said that the final document, which will be released soon, has revised tables for the different technology options for balancing electricity supply and demand. The document is being considered by NEDLAC, he said. Cabinet approval of the IRP will define a tangible plan for energy security which includes the participation of Independent Power Producers (IPPs) in conjunction with Eskom and municipalities. Eskom alone can no longer meet South Africa’s power capacity requirements, because the Department of Energy estimates that the capacity extension under the IRP will cost in excess of R1-trillion in the period up to 2030, including new power plants, plus the requisite transmission and distribution infrastructure, he added. Although the unbundling of Eskom has been in the making for years, Radebe said, President Cyril Ramaphosa’s recent announcement has highlighted the importance of moving ahead with the unbundling. Financial institutions have become increasingly averse to pumping funds into Eskom in its current structure, he added. Addressing the ministers of energy from the various SADC countries who were present, Radebe said that the DLO Power Roundtable should find common and coherent policies and regulatory frameworks to support regional energy initiatives. Energy efficiency is a good way of balancing electricity supply and demand. However, successful energy efficiency programmes tend to result in the reduction of municipal revenues, which means that municipalities need to be rewarded to the extent of the revenue loss which results from energy efficiency programmes. Energy efficiency technologies, however, have a substantial job creation potential, he said, so financial losses to municipalities must be counterbalanced by demonstrating positive employment outcomes due to energy efficiency programmes. Radebe said that some municipalities, particularly Metros, which have old power stations should get them functional again, because they represent an opportunity for municipalities to increase revenues at the same time as improving the country’s electricity system reserve margin. The amendment of Schedule 2 of the Electricity Regulation Act is intended to enable municipal and distributed generation. Whereas some municipalities are already able to take advantage of the amendment, other municipalities must seek guidance prior to engaging in projects for own generation. Regarding the culture of non-payment for electricity, the minister said that credit control measures and proper metering systems to maximise revenue collection, the maintenance of a proper balance between dispensing free basic electricity to qualifying customers while charging high users cost reflective tariffs for electricity, are critical elements of a sustainable electricity utility. The increased demand for electricity cannot be met without a negative impact on the environment as coal is still the primary fuel needed to drive our power stations. On the one hand, as a developing nation, electricity is an instrument to drive social and economic justice. Over the years, Eskom and municipalities have extended their networks and through electrification projects brought quality of life and economic opportunities to many in underdeveloped areas. On the other hand, about 92% of our electricity is generated using the country’s plentiful coal resources. The result is that we generate environmentally damaging emissions. South Africa, Radebe said, will transition to a low carbon economy, and it will be achieved in a manner that is just. If one considers the future power system, it is plausible, he said, that it will consist of a combination of energy efficiency, renewables, nuclear, storage and smart grids. The transition to this energy system poses new challenges for governments, system operators, employees and market stakeholders, and we need to confront these challenges head-on. Over and above the just transition to a low carbon economy, South Africa must anticipate the dynamics posed by the fourth industrial revolution. This is characterised by a fusion of technologies which blurs the lines between the physical, digital and biological spheres, collectively referred to as cyber-physical systems. We need to shape a future that works for all of us by putting people first and empowering them. In its most pessimistic, dehumanised form, the fourth industrial revolution may indeed have the potential to “robotise” humanity and thus to deprive us of our heart and soul. But as a complement to the best parts of human nature — creativity, empathy, stewardship — it can also lift humanity into a new collective and moral consciousness based on a shared sense of destiny. It is incumbent on us all to make sure the latter prevails by starting with the preparatory work that anticipates this change, Radebe said. The post Regional energy projects essential for growth and prosperity appeared first on EE Publishers.